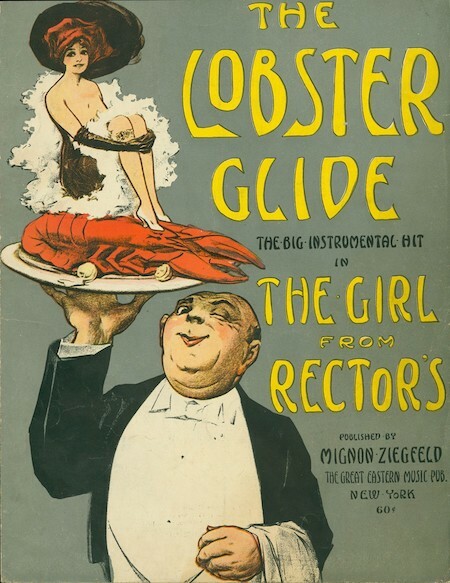 This 1909 sheet-music cover from a Food & Ragtime gallery has something for every taste: a demure showgirl for Mr Seal, and a bisque-worthy New England crustacean for Mrs P.
I empathize with the "giant, corpulent, avuncular smiling waiter with a knowing wink." At the latter site you can listen to a Midi version of the song. The suggested tempo: 68 crotchets a minute.